ActionAid USA invests in communities around the world to empower people to work towards solutions for poverty, climate change impacts, women’s rights, and more. ActionAid’s previous website was tied to a platform with 20+ other ActionAid country sites, which made it difficult for contributors to tailor their content for audiences in the United States and to manage multimedia content. 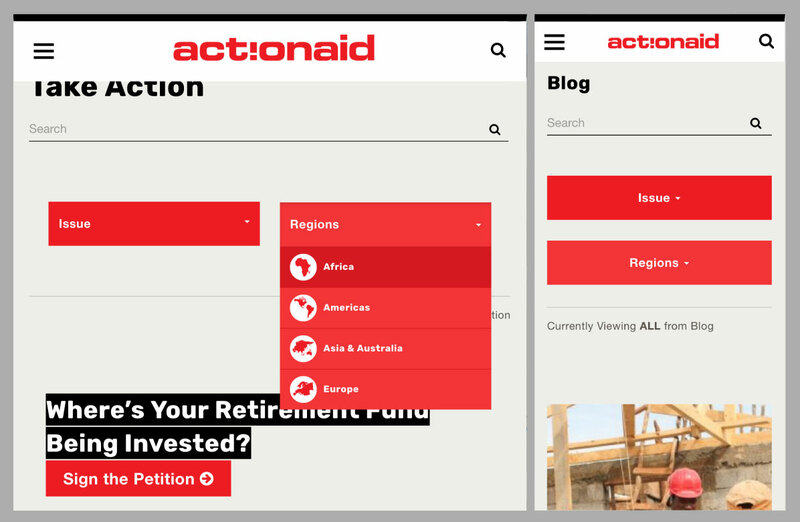 After a discovery phase where we defined technical requirements and provided feedback for our design partners at Teal Media, we built a custom theme with several responsive templates that feature vibrant images from ActionAid staff around the world. Each page includes widgets for searching and filtering ActionAid’s library of news stories, press releases, publications, and case studies. The new site runs on WordPress, an open-source content management system. ActionAid staff can create a variety of post types with structured fields and can categorize their content by both issue and region. 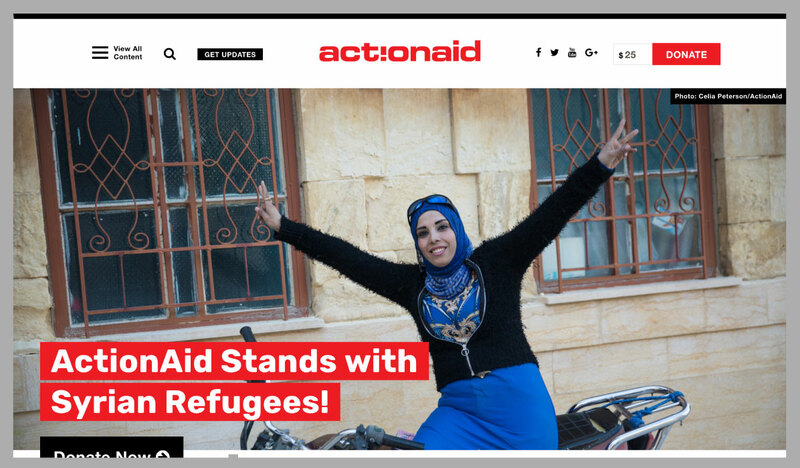 The homepage features a dynamic listing of ActionAid’s newest content, enhanced with infinite scroll and in-page search and filtering. 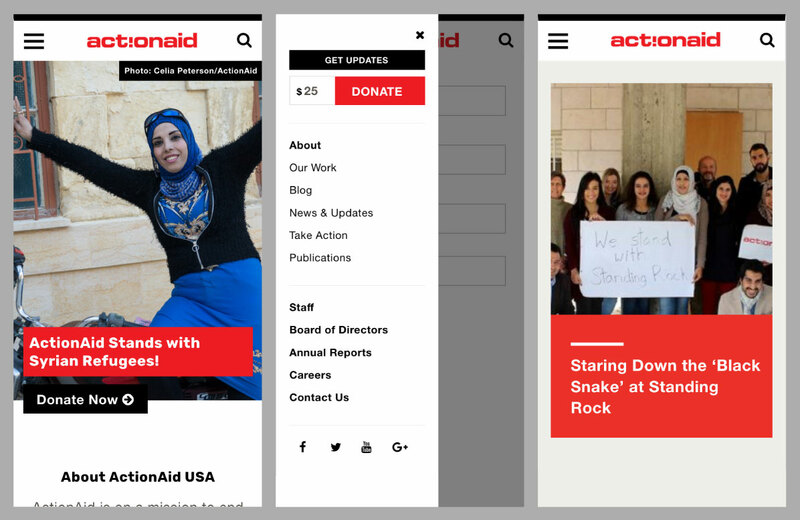 The site also incorporates ActionAid’s third-party donation platform and newsletter subscription form, so visitors can easily make a donation or sign up for newsletters.